We are a leading sports software company, based in the UK, with sales offices located throughout the world. Formed in 2011 by sports coaches and world class IT specialists, with over 20 years experience, we have grown to be recognised as one of the worlds leading sports software providers, with thousands of users around the globe. Our Award winning software is used by some of the world’s greatest named clubs, professional coaches, and individual coaches of all ages and abilities. We offer our Members state of the art 3D session planning software which they use to generate quick sport session plans with outstanding visuals. We enable our members to be highly organised allowing them to save their sessions onto their own session library and/or onto the public session library where there are thousandsof sessions uploaded from coaches all over the world. We offer Members the opportunity to search a library of session plans to extend their knowledge of coaching and view sessions created by some of the world’s top professional coaches. We have created the world’s first Session Builder TM. This allows coaches to drag and drop existing drills into a drop-zone and instantly create a session plan. With our outstanding ‘Match Day’ System, coaches can create match day preparation documents such as team-sheets, set-pieces and also analyse their team’s performance. Our members can upload videos and images to each of their sessions to give them a highly professional digital document. Share your sessions via facebook, twitter, e-mail links. Save your sessions digitally into the cloud or as PDF’s and jpgs. We provide Clubs with the opportunity to access the Player Evaluation / Reporting System. This enables coaches to evaluate their players after they have performed in training sessions and matches. Coaches then have the luxury of creating a very informative Instant Report with the click of a button! Our coaching software is used by coaches of all ages and abilities; including some of the biggest professional sports clubs in the world. 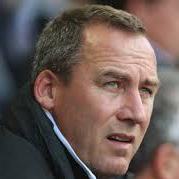 Rene Meulensteen became Manchester United's first-team coach on 3 September 2008, when the previous incumbent Mike Phelan was promoted to assistant manager in place of the departing Carlos Queiroz. In his previous role as technical skills development officer, Rene was the man charged with giving United's players the armoury to out-manoeuvre any opponent in any given situation. Rene is a great friend of the SSP Management Team and we have worked very closely with Rene to provide him with a platform to record his outstanding sessions. Rene now has his own website www.renemeulensteen.co.uk and coaches can access his site and purchase his sessions through here. Clarke is an ambassador for the Kick It Out campaign and is Chairman of the Management Committee of the Professional Footballers' Association. 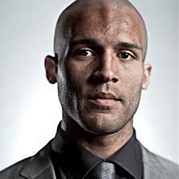 Clarke is an outstanding ambassador for SSP and we are working closely with him on various ‘depression in football’ projects which are only now being recognised as a serious issue in the world of football.